SMED proved that if you remove the big bottlenecks which slow down your ability to respond, you can revolutionise the service you offer you customers. SMED: one of the reasons Toyota became a powerhouse global auto manufacturer. SouthWest Airlines, Tesco and UPS all apply its principles, even if they don’t know it. It governs agility, speed, cost and enables the customer experience. SMED? Single Minute Exchange of Dies. Stay with me as I explain. It’s worth it. In the sixties, auto manufacturers had to operate long production runs. They produced the same car, over and over, offering customers a limited choice. If customers wanted more options, they couldn’t get them. The reason? Setting up a production line to produce different variants of car was HARD. Machine tools had to be recalibrated, components all along the line had to be replaced, and hardest of all, dies had to be changed. 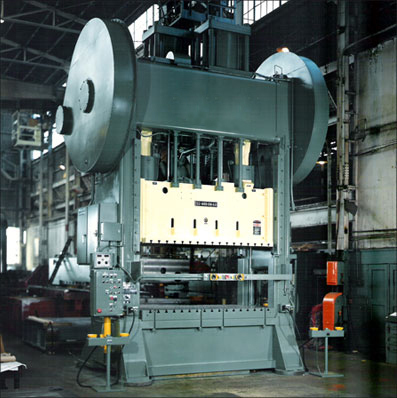 Dies are the blocks which stamp blank sheets of steel into the shape of the car body. They weigh many tons, are very difficult to manoeuvre, and have to be consistent to within a fraction of a millimetre. Changing dies typically took between 12 hours and three days. So changing the line meant stopping production for at least this long. Change them more often than once a week and the factory could spend more of the year idle than making cars. In effect, too much choice would make the company bankrupt. Then Toyota employed Shigeo Shingo to help solve this problem. He and his team observed and measured every aspect of the die change process. They filmed changeovers. They looked at non-manufacturing examples, like Formula 1 pit crews. And then they changed things. They reduced human error by using precision metrics. They prepared each exchange of dies in advance, dedicating and scheduling equipment and resources. They clarified roles so everyone involved could, as it were, “do it by the numbers”. And while they never quite got it down to a minute, they got it down to less than ten. On average, Shingo and his team cut the time to change dies to one fortieth of what it had been before. The result? Toyota could offer customers what they wanted, not what the manufacturer hoped they might want. Toyota could slash costs, as they no longer needed to hold so much inventory and WIP (work in progress). And they could improve quality, as smaller production runs enabled more rapid, cheaper fixes. Most of us don’t have to swap dies weighing tens of tonnes in and off a production line. But many of our businesses have big things which slow down our ability to respond and make it hard to give customers what they want. Some companies have put in the focused effort necessary to transform these things. Doing so has greatly strengthened their ability to compete both on costs and customer service. SouthWest airlines revolutionised budget air travel, in part by being ruthless about minimising aircraft turnaround time on the ground between flights. Quicker turnaround = more flights per day, more customer choice and more efficient customer management. Tesco dominates the UK supermarket scene in part because they worked out how to get goods (especially perishable goods) from source to store in hours instead of having them languish in warehouses; in many cases, the lorry is the warehouse. A faster supply chain is a cheaper supply chain, gets fresher goods to the customer and can respond more quickly to customer demand. UPS has put significant effort into minimising the time a parcel just sits. By putting in more dynamic sorting, smaller dispatch sizes and smarter routing, they can offer delivery times and service quality unheard of even ten years ago. SMED thinking is one of the keys to customer service transformation. Think about your business. There must be one or two ‘big things’ which make it hard to flex the business, take time away from delivery or make it slower to respond to customers. What if you put real, rigorous effort to redesign these things, drawing on thinking like Formula 1 pit crews? What if you gave yourselves an unreasonable goal for improvement – like cutting cycle time by a factor of forty? Wouldn’t that be brilliant? For your business? For your customers?